Insertable binder features an AgION antimicrobial additive that prevents the growth of bacteria, mold and fungus. 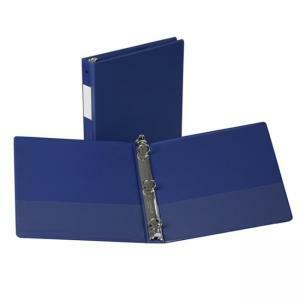 Locking round ring mounted on binders back lid allows pages to lie flat and reduce wear. Binder features label holder on spine to identify contents and two clear inside pockets. Heavy-duty construction for frequent use.